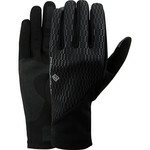 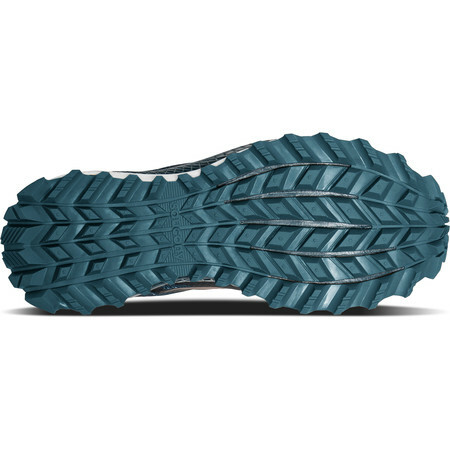 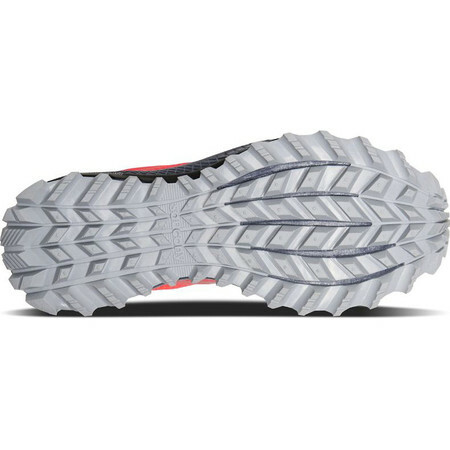 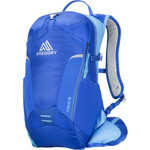 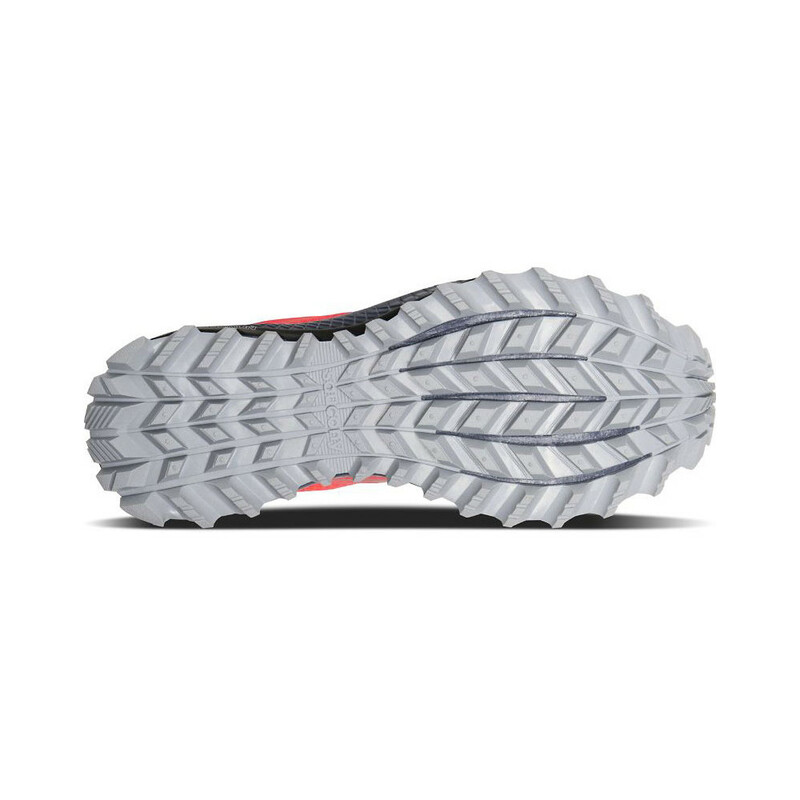 Higher stack heights in this version provide greater protection from sharp stones or other trail hazards. 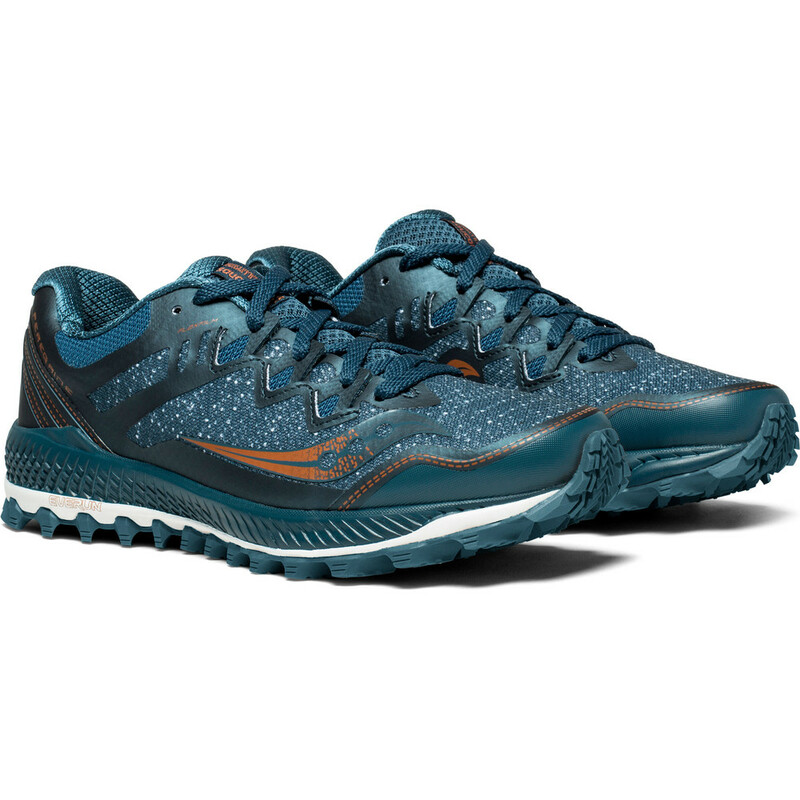 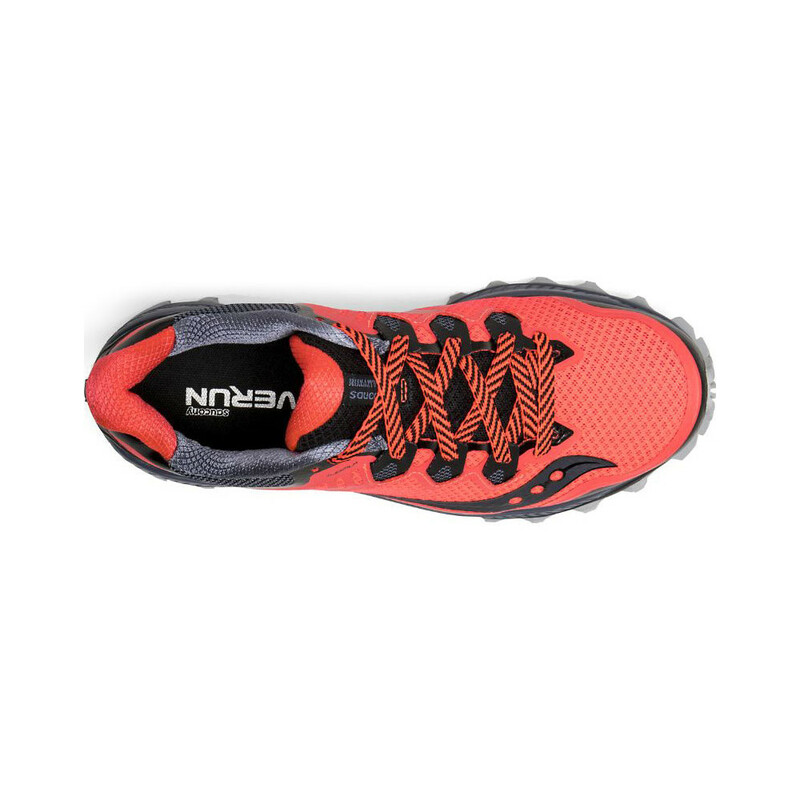 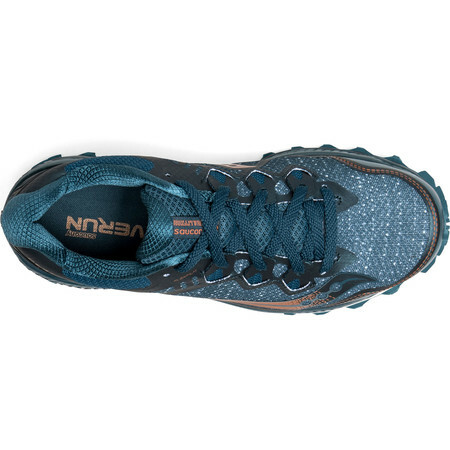 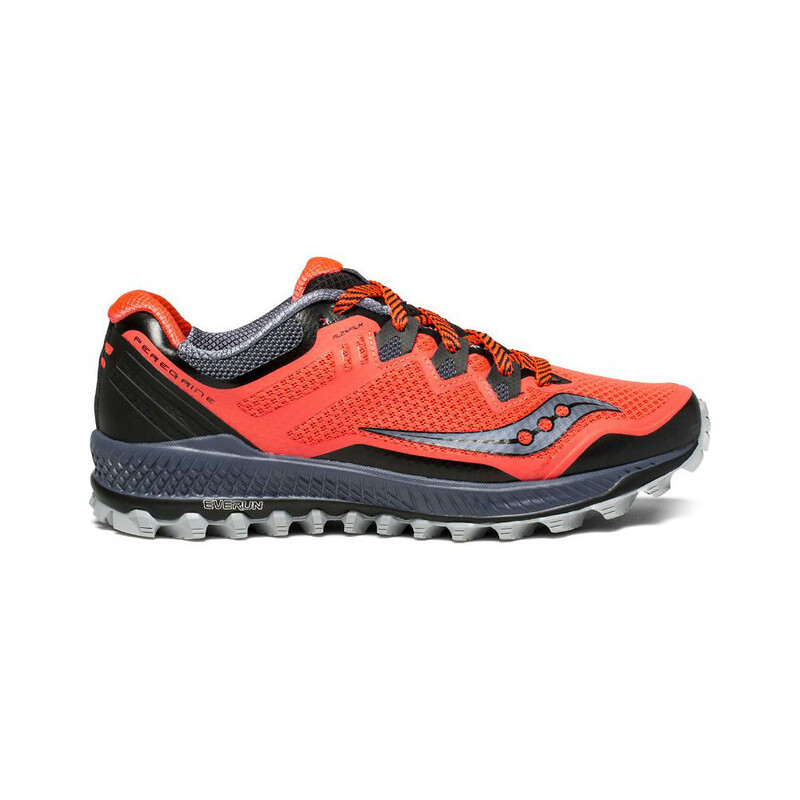 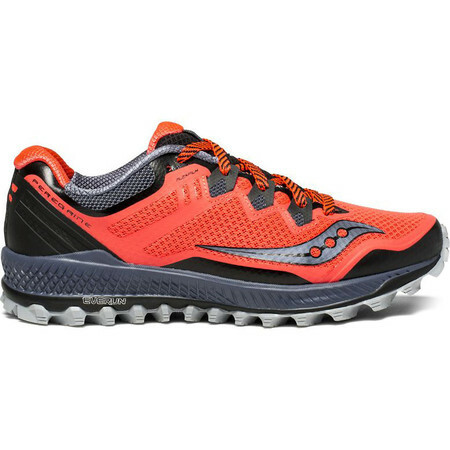 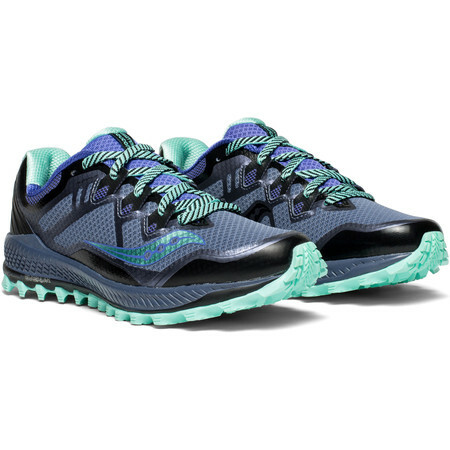 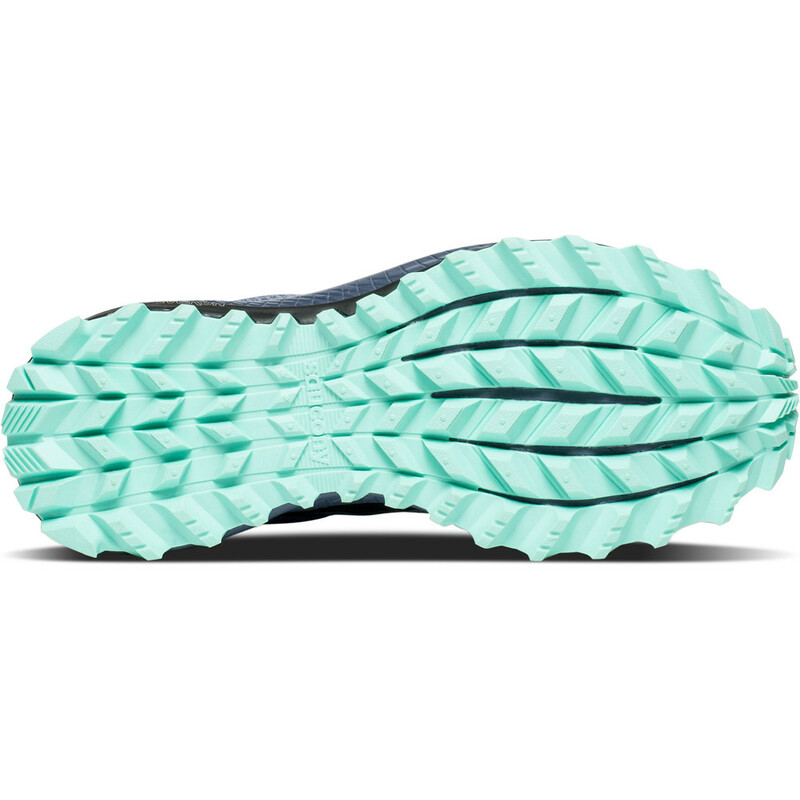 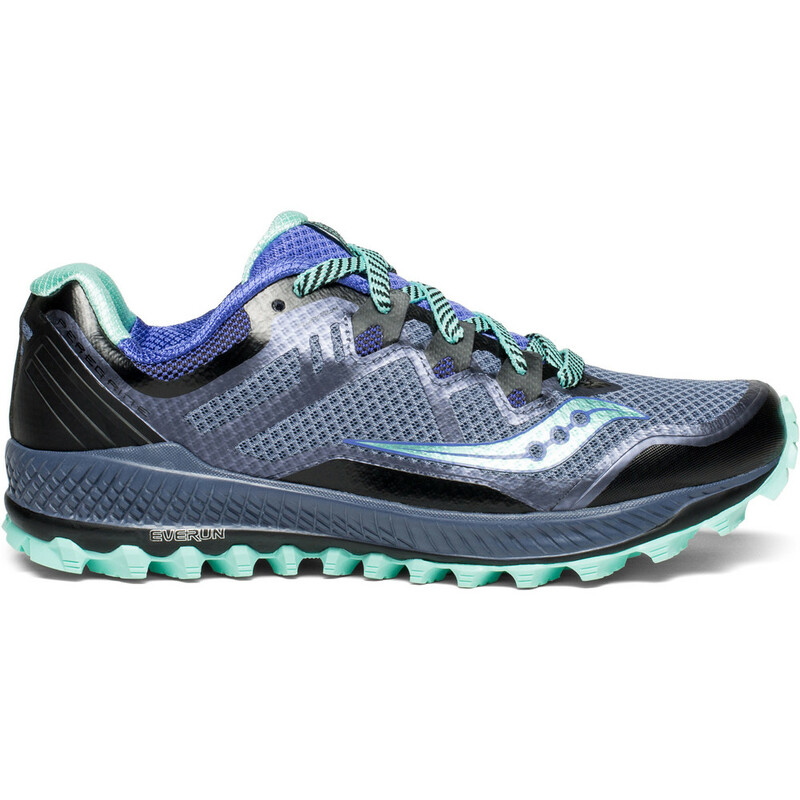 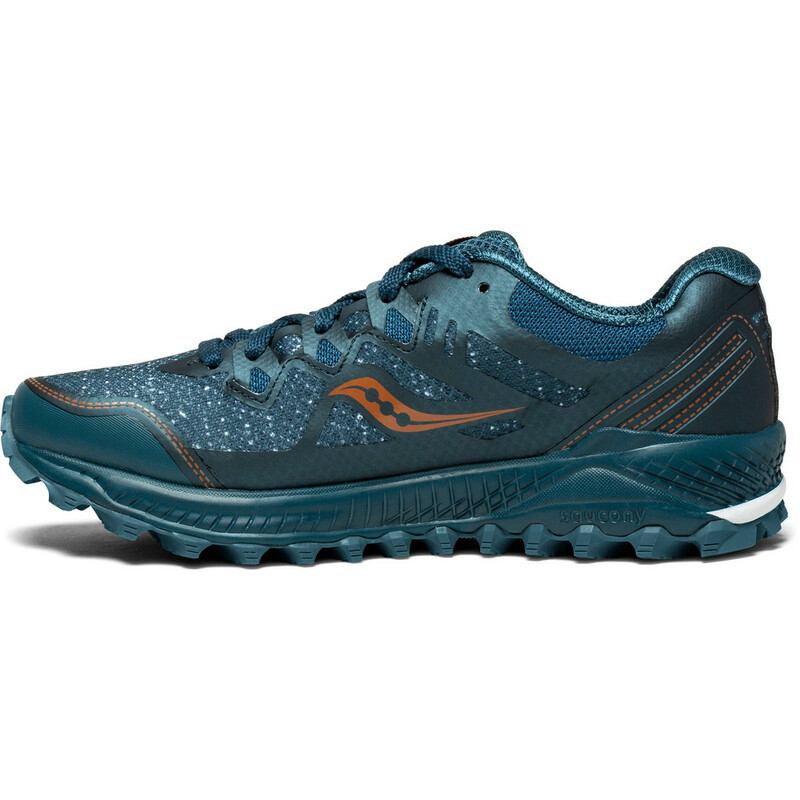 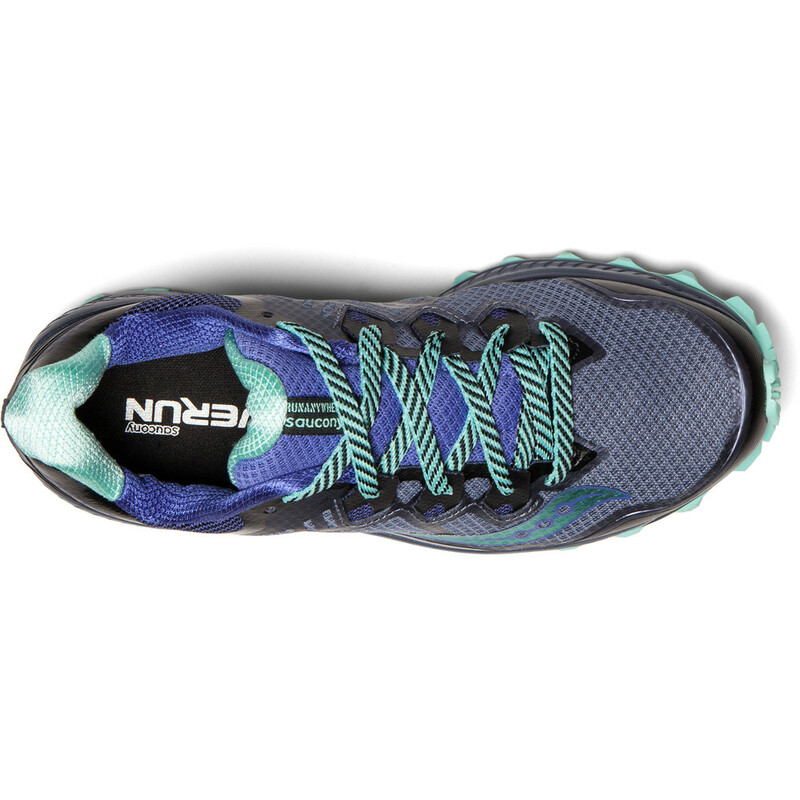 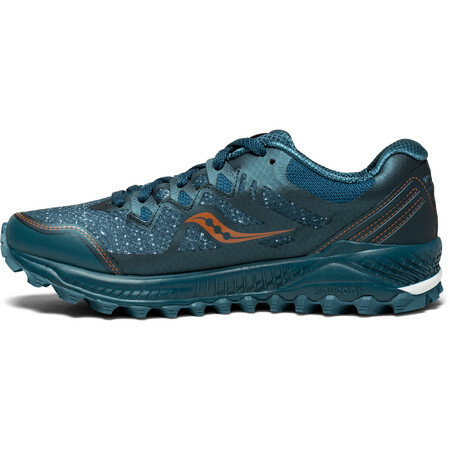 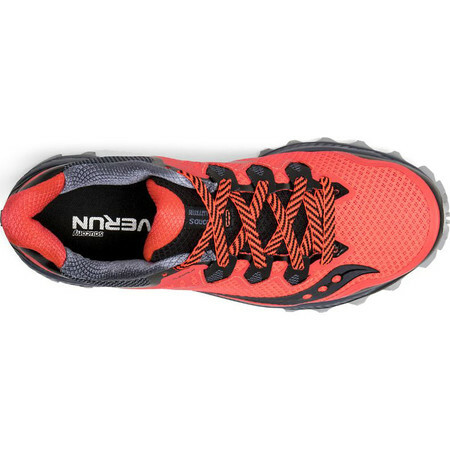 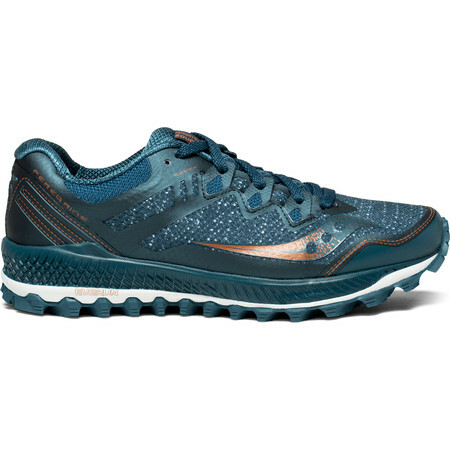 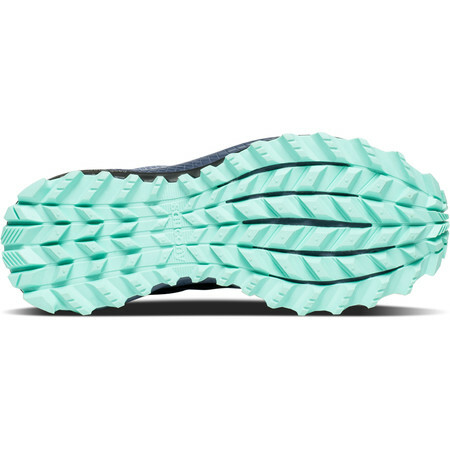 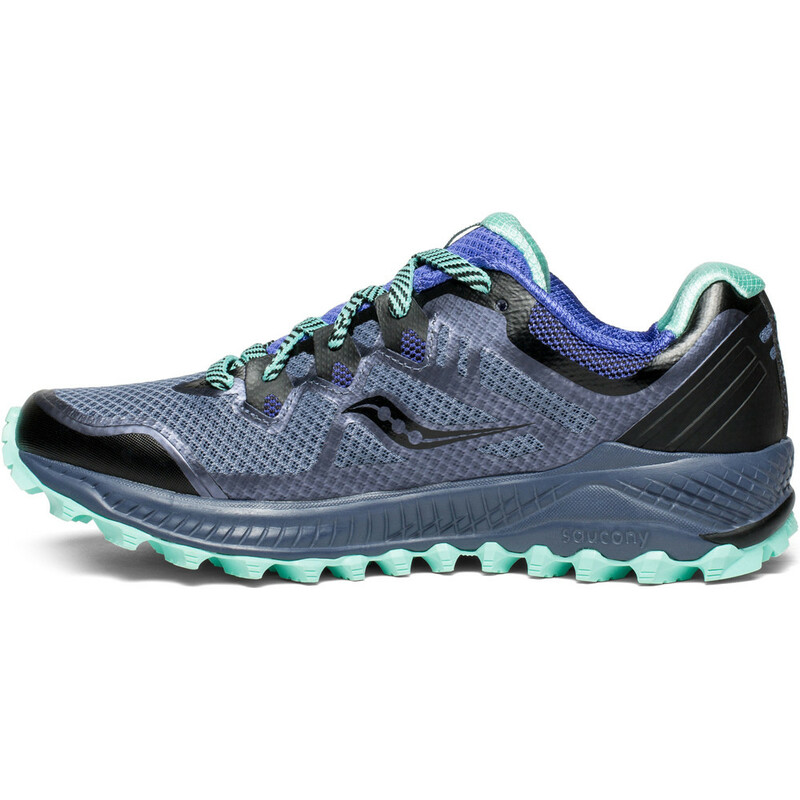 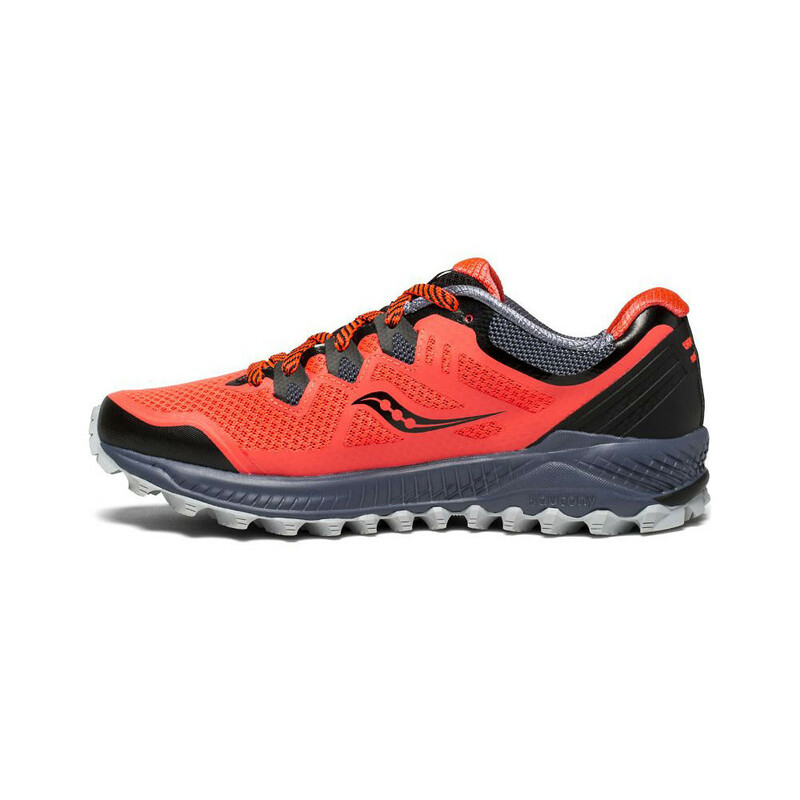 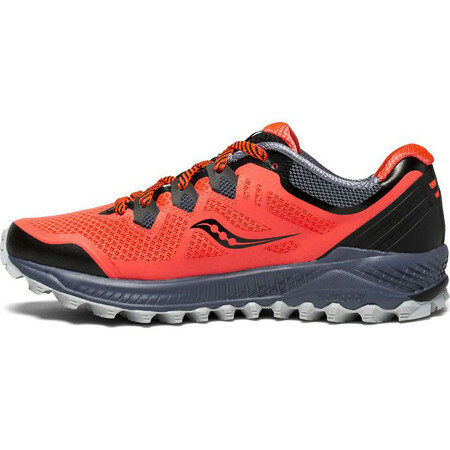 The upper is a breathable engineered mesh with heat-moulded overlays to provide support. 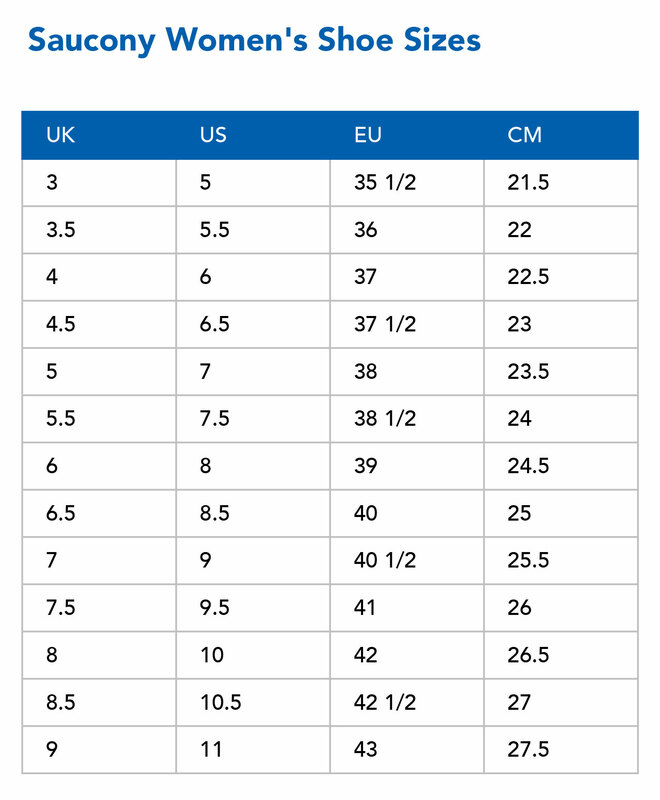 They’ve added more stability around the back of the foot with a moulded heel wrap and a toe bumper to prevent toe-bruising.